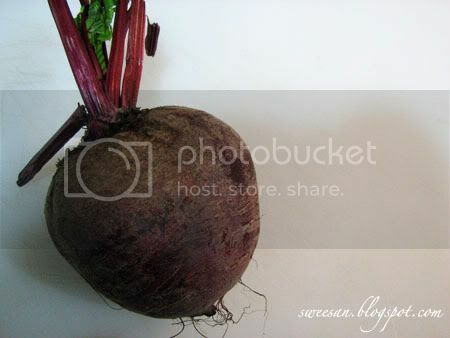 Beetroot / Beet is a root vegetable that is often purple or red in colour. Sometimes there may be candycan beets that comes in white and red colour, which looks really pretty. I have not seen any of these here yet. Beetroots are a rich source of potent antioxidants and nutrients, including magnesium, sodium, potassium and vitamin C, and betaine, which is important for cardiovascular health. It functions by acting with other nutrients to reduce the concentration of homocysteine, a homologue of the naturally occurring amino acid cysteine, which can be harmful to blood vessels and thus contribute to the development of heart disease, stroke, and peripheral vascular disease. Betaine functions in conjunction with S-adenosylmethionine, folic acid, and vitamins B6 and B12 in order to carry out this function. We make alot of this soup at home as my mum’s a vegetarian. 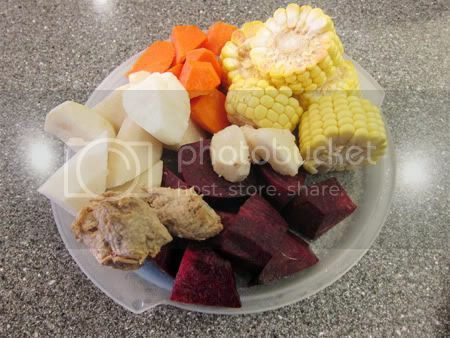 But you can also substitute and add pork bones into the soup for the extra flavour. 1. Peel all vegetables and wash them. Roll cut into 2 bitesize pieces. For water chesnut, cut in half. 2. Fill a pot with 2 litres of water, put all ingredients in and let it come to a boil over high heat. 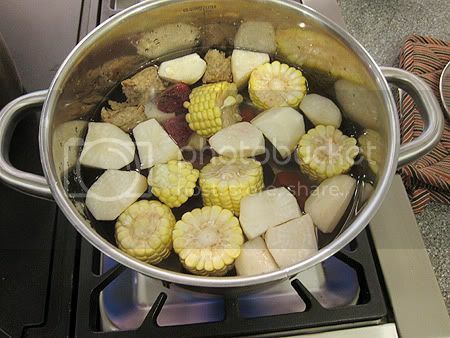 Once it’s boiling, turn down the heat to medium / low and let it simmer away for 30 minutes – 1 hour. 3. Add in seasoning before serving. This will be the next soup on my list!! vivienne, yes, u can try in soup. It taste great! I once ate beetroot once many yrs ago as it was the ingredient in my diet plan but was steam version, I dun think I enjoy eating that time. 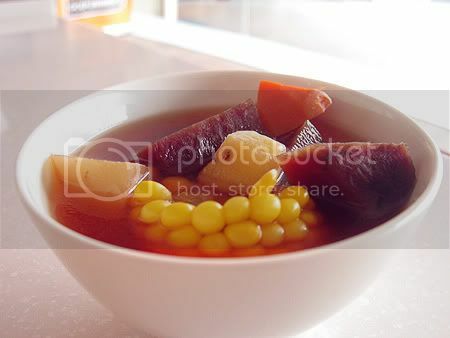 Didn’t know use to cook soup, the soup looks pretty with the color.